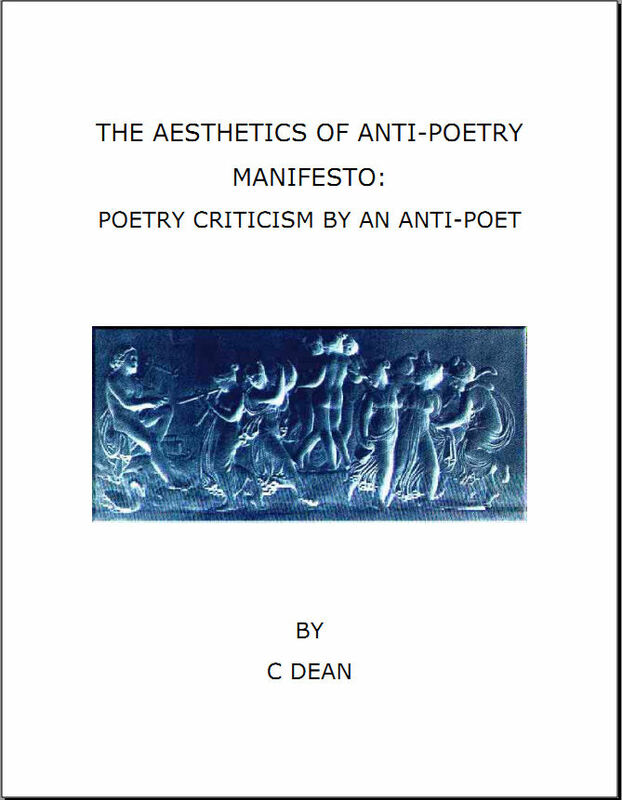 Anti-poetry seeks to over come the natural tendency of a reader to seek some sort of harmony or melody in poetic language and diction-a sort of tonality. To such a reader Anti-poetry is discordant and creates cognitive dissonance. Anti-poetry creates discordance in the reader by abusing language in such a way that the normal rhythms, harmonies and melodies of poetry via alliteration assonance end rhyme etc are violated through incorrect pronunciation grammar and spelling. Where words and sounds should step along in a precise and disciplined order such as in run on lines, syncopation, alliteration, assonance, associational, discursive or metrical rhythms, in the Anti-poem the reciter finds breaks and discords in these patterns. These discords are generated by breaking up rhythmic patterns of say associational alliteration and assonance rhythms.